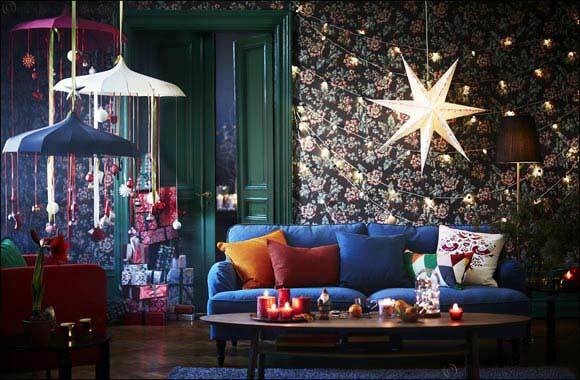 SÄLLSKAP is a collection inspired by the Scandinavian arts and crafts tradition and by the once groundbreaking idea of rooms designed for the whole family. It’s a collection of furniture, textiles and dinnerware that brings inspiration from the past into the present in the best way we could think of – by moving things forward. Most of us tend to romanticize the holidays. But as they draw closer, the hustle and bustle sets in. Then before we know it, the season’s over and it’s almost like we never really got to enjoy it. So this year, you can do things differently. This year, IKEA is coming with a flat-pack of help. From cookie baking to throwing parties. to make it come together beautifully. It’s the holiday season. 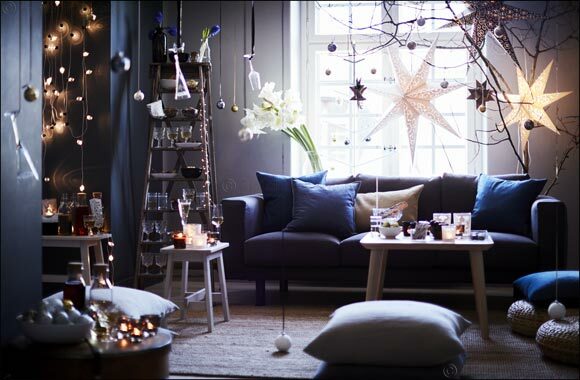 So just relax, and let IKEA help you make it the best one ever. 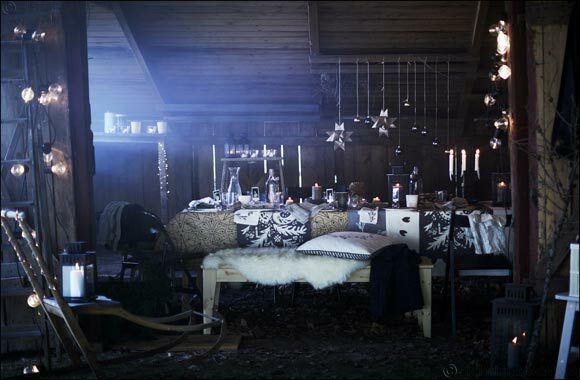 This year’s WINTER collection is inspired by late 19th century Swedish folklore. Embracing simplicity with authentic and warm materials - yarn, wool, leather, linen, felt, natural woods and metal. 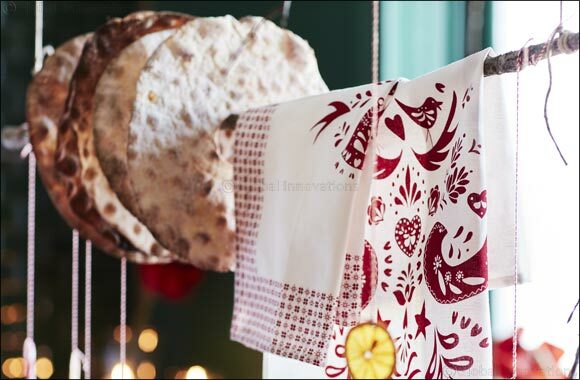 Unwrapping traditional patterns and prints. Presenting muted, natural colours, as well as all the seasonal golds and reds. 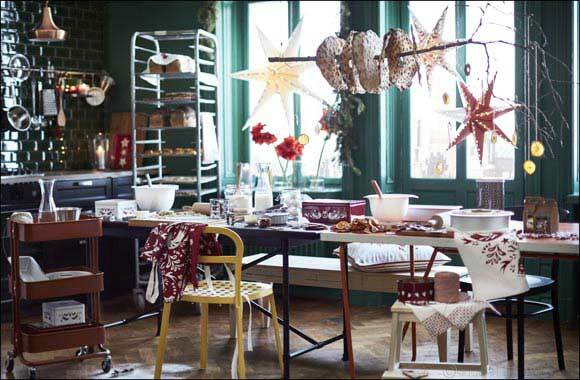 The WINTER collection ranges from decoration to lighting, textiles, dinnerware, cooking and eating. 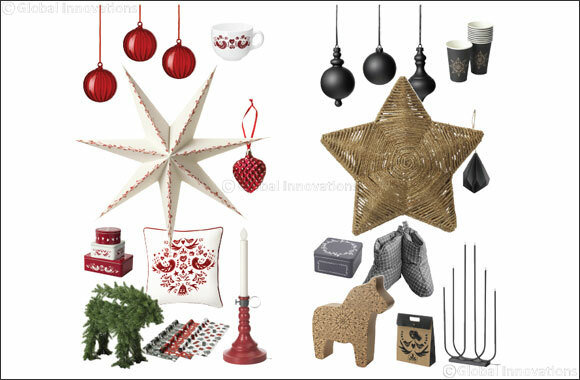 Everything to make home feel super inviting this year. kitchen, and bake together. That home made look and that homemade taste. After all, we’re talking cookies here, not rocket science. Easier than you might think. It’s good, it’s healthy and it keeps. So bring a taste of the frozen north home to your kitchen this holiday season. Makes approximately 20 rounds of bread. 1. Crumble the yeast into a bowl. Pour in the water and stir until the yeast dissolves. Add the oil. Then work in the salt, rye flour and wheat flour. 2. Cover the dough and leave to rise for half an hour. 3. Knead the dough on the flour-covered work surface. Then divide into 20 pieces and roll with a knobbed rolling-pin. 4. Preheat the oven to °250. Place the bread dough on parchment paper in the baking tray and bake for 8-7 minutes. Then leave it to cool down on a rack. need at IKEA. The lights. The colours. The decorations. Just add your personal touch. SAY HELLO TO SUDDEN, OVERNIGHT GUESTS. 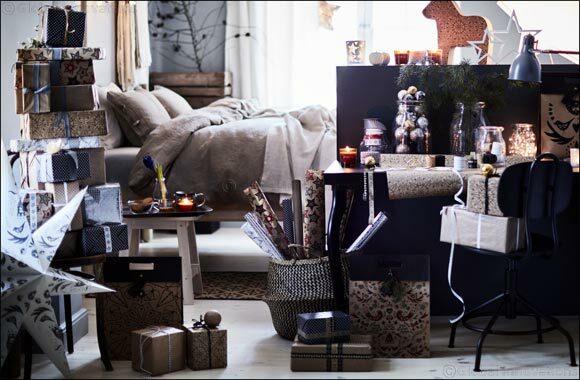 Create seasonal sleeping space by turning a passage or hallway into the perfect bedroom for overnight guests. 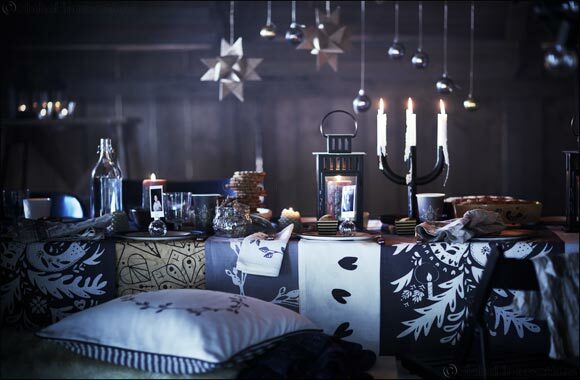 Some warm textiles, foldable beds and cozy lighting. Don’t worry about not having five stars. A good night’s sleep is its own reward. THE MORE GUESTS, THE MERRIER. When the big dinner isn’t possible in the usual place, embrace the unusual. Open up to a shed or storage room. Move the tools and lawnmower to one side. IT’S ABOUT WRAPPING LOVE IN PAPER. reacquainted with those seasonal wrapping skills. Scissors, paper, tape and ribbons mean beautiful gifts for your loved ones. So goodbye fuss. Move the furniture, add deco items and turn cleared floor space into a great place for an elegant soiree. Place for a bar, a table full of hors d’oeuvres for the bash of the season. Friends, fun, food and something to drink. Relax, and enjoy the evening.